WLM Print Magazine announces Launch Party! 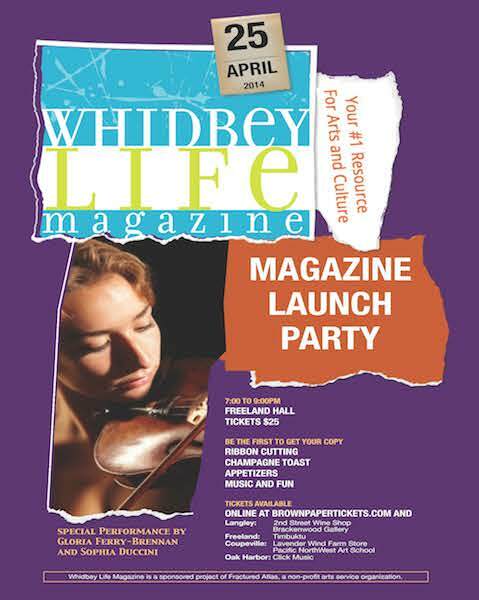 Whidbey Life Magazine announces a Launch Party for its first print edition. 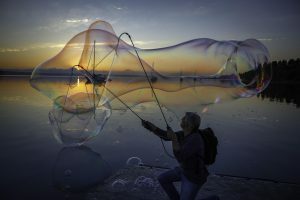 Whidbey Life Magazine, the online magazine for arts and culture on Whidbey Island, is adding a print magazine and it’s going to arrive at the end of April. The premier edition will be presented at the magazine launch party, to be held from 7 to 9 p.m. on Friday, April 25 at Freeland Hall. Do join us for this celebration! Gloria Ferry-Brennan and Sophia Duccini will be performing—a treat not to be missed! Marsha Morgan will be our MC and will keep the evening fun and flowing. There will be a ribbon cutting and a champagne toast as well as appetizers by Laurel Davis of the 2nd Street Wine Shop, Lisa Carvey of The Braeburn, plus special cheeses, fresh from the farm,provided by Vicky Brown of the Little Brown Farm. Dessert comes in the form of a special cake by J.W. Desserts. It’s going to be a magazine-launching good time. Whidbey Life Magazine print edition will be a high-quality, glossy, full-color, 40-page magazine with professionally-written feature stories and professional photography. It will be a collectible magazine for Whidbey residents and island visitors. Distribution of the magazine will concentrate heavily on the entire Island and the surrounding communities. Tickets are $25 per person and are available online at www.brownpapertickets.com and at the following locations on Whidbey Island: 2nd Street Wine Shop and Brackenwood Gallery Langley, Timbuktu in Freeland, Lavender Wind Farm Store and Pacific NorthWest Art School in Coupeville and Click Music in Oak Harbor. Whidbey Life Magazine is a sponsored project of Fractured Atlas, a non-profit arts service organization. Go to www.whidbeylifemagazine.org for more information. Freeland Hall is located at 1515 Shoreview Dr.in Freeland, WA. Thanks Laura! It’s going to be a fun time, I’m glad you’ll be joining us!